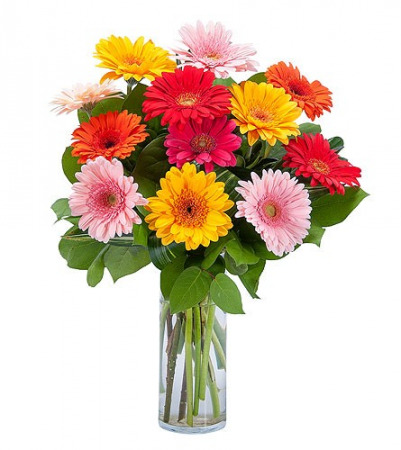 A playful and fun beauty,gerberas are a popular flower that makes you dream of summer. It brings happiness and smiles and even flashbacks to the freedom and joy of childhood with their whimsical nature. **Flowers, foliage and container may differ due to seasonal availability. All efforts will be made to create as similar a product as possible to item pictured. A touch of Elegance and floral flair in a clear cube vase holds gorgeous white roses, tulips, stock, and green hypericum. 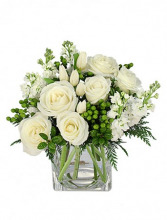 Enjoy the beauty of white spring flowers, when you order this flower arrangement! Call us today or order online anytime! 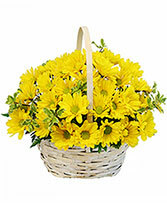 **Flowers, foliage and container may differ due to seasonal availability. All efforts will be made to create as similar a product as possible to item pictured.